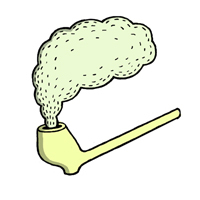 Clay Pipe Music, is a London based label run by illustrator and designer Frances Castle. Each release comes in carefully conceived limited edition packaging. If there is demand, further pressings are produced. Initially Clay Pipe produced hand made CDs, but now releases are all on numbered vinyl. Clay Pipe specialises in releasing atmospheric instrumental music, with a strong theme or sense of place. Recent releases have sold out quickly, so if you want to be the first to know when a record is coming out, please sign up for the mailing list or follow Clay Pipe on Facebook or Twitter. If you are a shop or store wishing to stock LPs, Clay Pipe is now distributed by State 51. If you would like to commission an illustration, please contact my agents at: www.arenaillustration.com I only work through them.